Today, Parans has received the signed agreement from the international consortium COMOL5, which runs the infrastructure project that Parans has earlier informed about. The order value for Parans amounts to approximately SEK 17.8 million. The Parans system will be installed in both tunnel entrances and will lead the sunlight into the tunnel in a way that previously has been impossible. Parans and COMOL5 have today signed an agreement whereby Parans will deliver sunlight via the Parans system in this innovative infrastructure project. The end customer is the Province of Zuid-Holland. Both tunnel entrances of the Rijnlands tunnel will have natural light the first 80 meters approximately. The tunnel is under construction and according to the preliminary plan for this significant project Parans will start deliver systems as soon as the tunnel construction has progressed into the phase allowing for installation of the Parans systems. The preliminary plan is to do part deliveries 2019 but with the main deliveries taking place during 2020. - We are very excited and proud to have closed this deal. Not only will we deliver a unique solution, furthermore and stated by our customer, we will brake new grounds within technical standards in today´s tunnel constructions, says Fredrik Johansson, Senior VP Sales & Marketing at Parans. 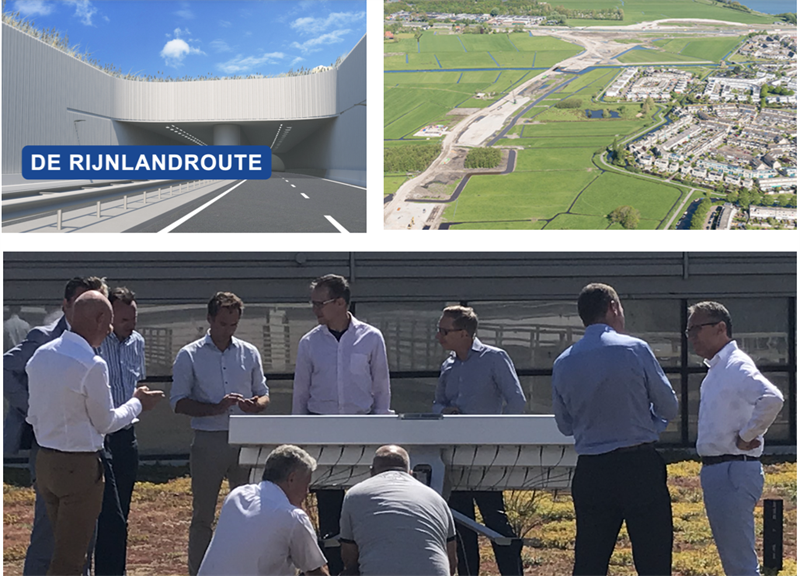 In fact, and recently, one of the client´s project team members was a top finalist in the nationwide competition The Challenge Engineering in Holland for the Rijnlands tunnel project’s innovative design, largely due to our system’s ability to lead light deep into the tunnel. We will continue to work closely with COMOL5 regarding the light solution and the upcoming software integration. - This is a very important deal for us, says Anders Koritz, CEO at Parans. We have worked hard to come to a final contract and it is showing that we as a company is ready to handle this type of large and extensive business, even in new segments. With this order, we have per this day an order backlog of approximately SEK 24 million, which is a considerable step forward compared with the same period a year ago. Days when it's bright sunshine, drivers get a better and more natural transition between the bright outside and the darkness of the tunnel. The technology generally used today is based solely on artificial lighting to control the intensity of light the first approximately 100 meters. By using the Parans system instead of artificial lighting on sunny days, much energy can be saved and the reduced energy consumption gives a positive impact on the environment. Studies show the importance of satisfying levels of light the first part of the tunnel to increase road safety and reduce the number of accidents. The project may come to affect current building standards for lighting tunnels where Parans' flexible and innovative solution is capable of leading natural light in large quantities to areas that otherwise are not possible to reach with natural light.